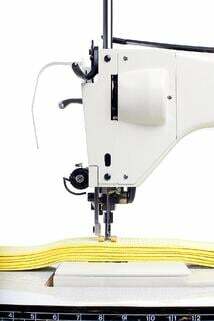 Are skipped stitches causing you down time in your industrial sewing application? Here are some tips to help find and correct the common causes of skipped stitches. 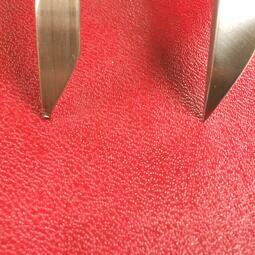 Make sure the tip of the hook is not damaged or sharpened more than a few times. Sharpening moves the timing, and eventually to the point of not being able to keep the machine sewing reliably. 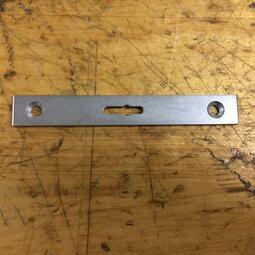 Make sure the throat plate/needle plate does not have an excessively large hole(pic on the right). 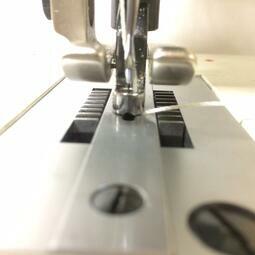 The hole should be slightly larger than the needle and thread together. 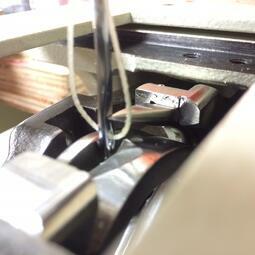 Check the tension from the thread take-up spring. 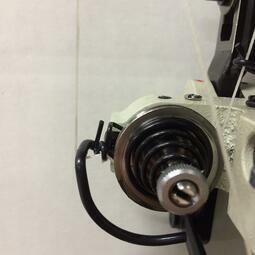 The spring should pull the thread back easily and quickly after pulling through the machine and releasing from one’s hand. 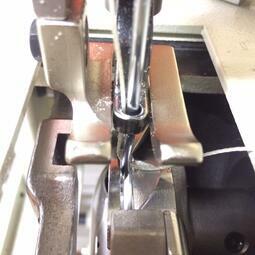 Check thread tension on both top and bottom thread. 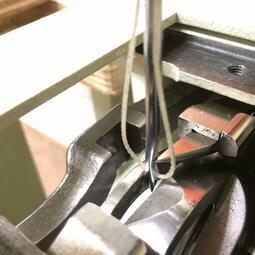 Thread coming from the bobbin should be easy to pull from the case through the throat plate. 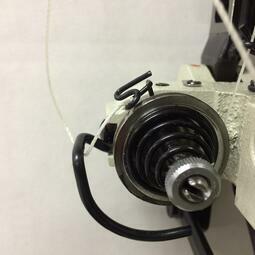 Thread coming from the spool should be easy to pull from the operator’s side of the take-up lever. 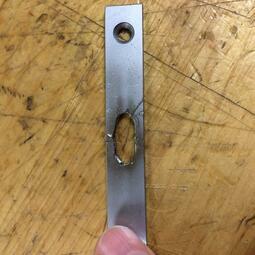 Excess tension can cause improper loop formation. Ensure that the feed dogs are not trying to move material just as the needle clears. If feed dogs lift and moves material too early, the thread will catch in the race or will not cinch tightly. If it stays in the race, it could cause a skipped stitch on the next stitch or cut threat. 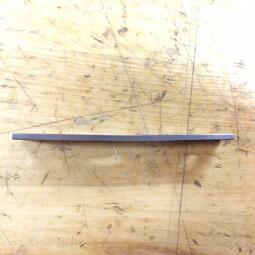 Check that the needle bar is not bent. This requires taking the needle bar out of the machine. Find a very flat surface and lay the bar on it. Place hand on bar at about one third of the bar’s length. Roll the bar forward and back while watching the longer side for any wobble. Repeat for other side. 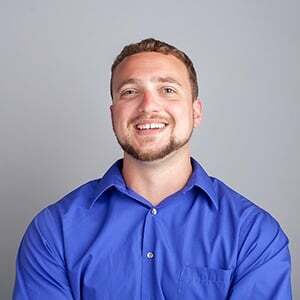 If problem persists and none of the points above resolve the issue, contact Service Thread for a consultation.